Jonas Staal is an artist whose work includes interventions in public space, exhibitions, lectures, and publications, and focuses on the relationship between art, politics, and ideology. Staal is the founder of New World Summit, an artistic and political organization consisting of a collective of designers,theorists, artists, and cultural producers who organize summits for stateless political organizations (see: 1:1 scale). At the fifth New World Summit, the representatives of the Democratic Self­Administration of Rojava (Syrian Kurdistan) joined in discussion with the members of stateless and progressive political organizations from around the world. The summit was organized for the occasion of the construction of a new public parliament. The deliberations focused on discussing the struggle, history, and outcomes of the Rojava Revolution, and in particular its model of democratic confederalism, also known as “stateless democracy.” The meeting engaged in comparisons between autonomist and independentist movements worldwide, initiated critical debate, and built solidarity to construct a common new world. (source: BAK, Utrecht). 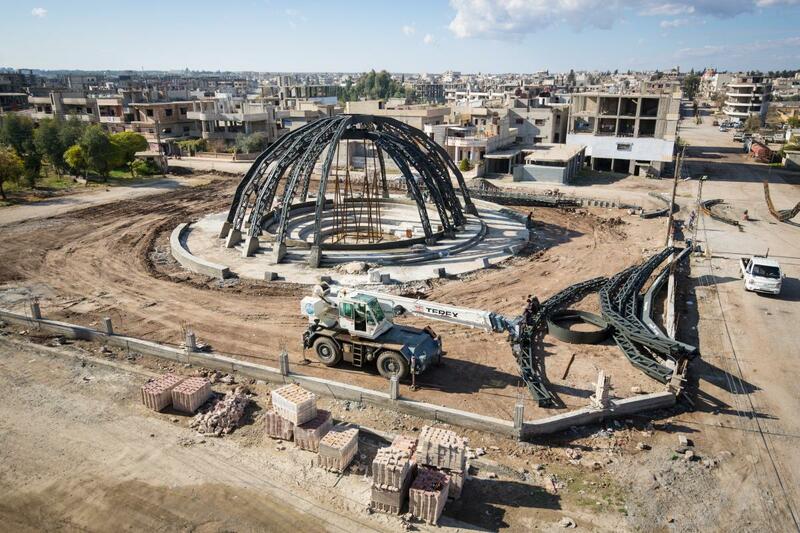 The report presented in exhibition consists of a film work and photographic documentation of the fifth edition of the New World Summit in Rojava and a quotation of the floor plan of the parliament in Rojava, licensed to the Museum of Modern Art in Warsaw for the duration of the exhibition. Courtesy Jonas Staal.